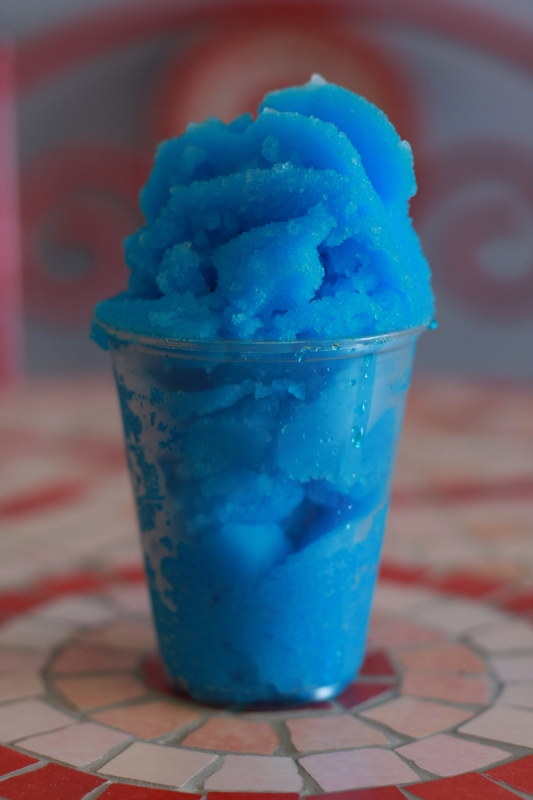 News | Nee Nee's Fruit Ice Cafe | Fresh. Tastie. Thoughts. All of us here at Nee Nee’s have been chugging along at our Cafe. The weather has been a little funky, but over all, we are making it through. We have been trying new things at the Cafe and introducing ideas subtly. One “thing” we are trying is social media. The problem for us is that we are a small business, and everything out there is built for big business needs when it comes to this type of media. We are on Facebook, Twitter, Yelp…….. We are switching up our site and trying to make ourselves as available as possible for you. We want to serve our customers the best that we can, but we seem to have a hard time nailing down what it is that you want. Does this stuff work? Are you actually enjoying being able to contact us? Are we giving you what you want? Help us out and let us know! We really do want to hear from you. Step 1- First we add puree (which is blended fruit for you guys out there) to the mixing machine, along with the base elements of Italian Ice, this is a bunch of stuff you don’t need to know about….shhhhhhh. Step 2- After the batch is done mixing and freezing, this is where it gets tricky, we add FRESH, REAL FRUIT. Budda Bing, Budda Boom. These are actual fruit pieces that you can taste in the “ice” e.g. Watermelon has actual watermelon pieces in it! What?!?!?!? Yeah we know, we’re crazy like that! But then again we are a little fruity…ah, ahhh get it? Step 3- You get your little hinny in the door and order boat loads of it, so we can have extended vacations in the Caribbean. So now you know all the steps that it takes to make “Fruit Ice” and now here are some bullet points on the benefits of fruit ice over say…Gelato, Ice Cream, and some other stuff that is cold an nummy. Will make you a millionaire if you eat it, wait, we can’t actually prove this, so skip this one. Can turn you into Albert Ein, errr that is stretching too. 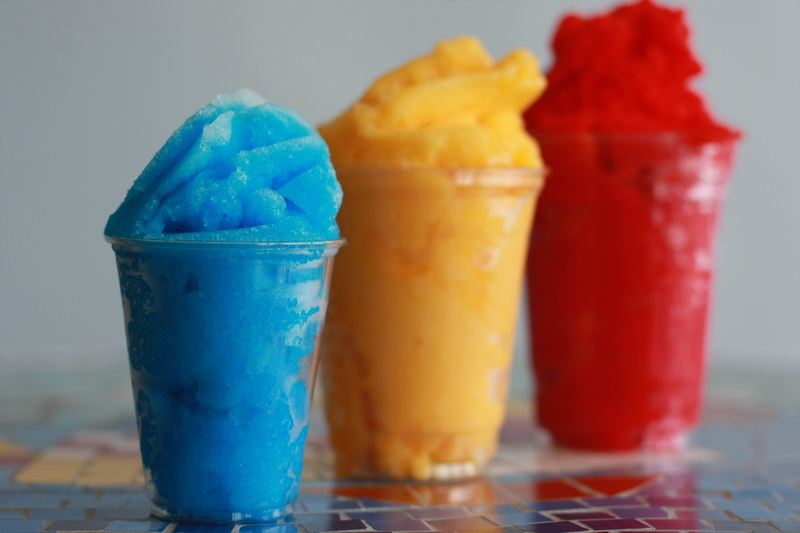 So now you know all there is to know about Fruit Ice the next thing you need to do is get in our shop and have a cup or 2 or 3 or 4, you get the idea.